including Chinese Herbs. 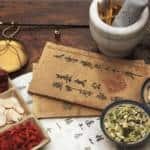 Although only recently discovered in the West, Oriental people have been using herbs ( plants, minerals, and animals ) for thousands of years to heal themselves of illnesses and to enhance their physical and emotional health and to increase longevity. Chinese herbs fall into two basic categories, medicinal herbs and tonic herbs. Medicinal herbs are prescribed by a qualified practitioner. They are used specifically for illnesses, are given in formulas, and should not be used on a long term basis. If used improperly, they can cause problems. For example, Mahuang ( Ephedra ), an herb used in China for lung and sinus problems, was sold in health food stores for energy and weight loss. Tonic herbs are not taken to prevent or treat specific illnesses. They are considered super nutrients, improve our physiological functioning and sense of well-being, and boost our energy. They are generally safe and can be taken on a long term basis, although if someone does have a known medical problem, they should consult their physician before taking them. Three examples of tonic herbs are Tang Kuei, Hou Shou Wu, and Ginseng: Tang Kuei, is considered the ultimate woman’s tonic herb. It is the most highly praised blood tonic in the East. It can help regulate menstrual function and maintain normal reproductive functioning. It benefits the entire female hormonal system and helps with the symptoms of menopause. It improves blood circulation in both men and women. Because of it’s mild sedative effect, it is helpful for stress. noticeable in it’s immediate effect. It is the kind often found in “pick- up” formulations. It is not recommended that Ginseng be used this way. The Japanese Ginseng usually found in the U.S. if often of low quality. Tonic herbs may not be found in the kinds of herbal formulas we have for medicinal herbs. They usually can be taken individually. Even though they are not in the medicinal category, they are powerful. All powerful herbs should be understood in order to be used wisely and appropriately.